Copper is waiting for his treats! Dog treats without any junk in them are either hard to find or very expensive, so I decided to experiment and make my own! 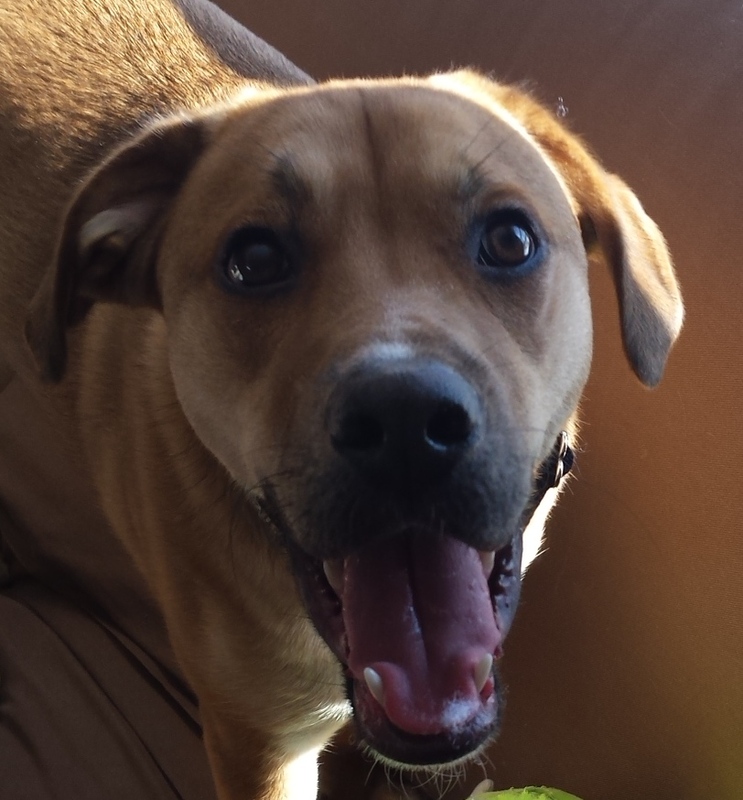 My dog Copper seems to really love them…hope your best doggie friend loves them too! I researched all the ingredients and they all have great benefits for dogs! Let me know what you think. Preheat oven to 350 degrees F. Line baking sheets with parchment paper or a silicone baking mat; set aside. beat pumpkin puree, peanut butter and eggs, molasses, flax seed, BarleyLife powder, olive oil & warm water on medium-high until well combined, about 1 minute. Gradually add 2 1/2 cups flours at low speed, beating just until incorporated. 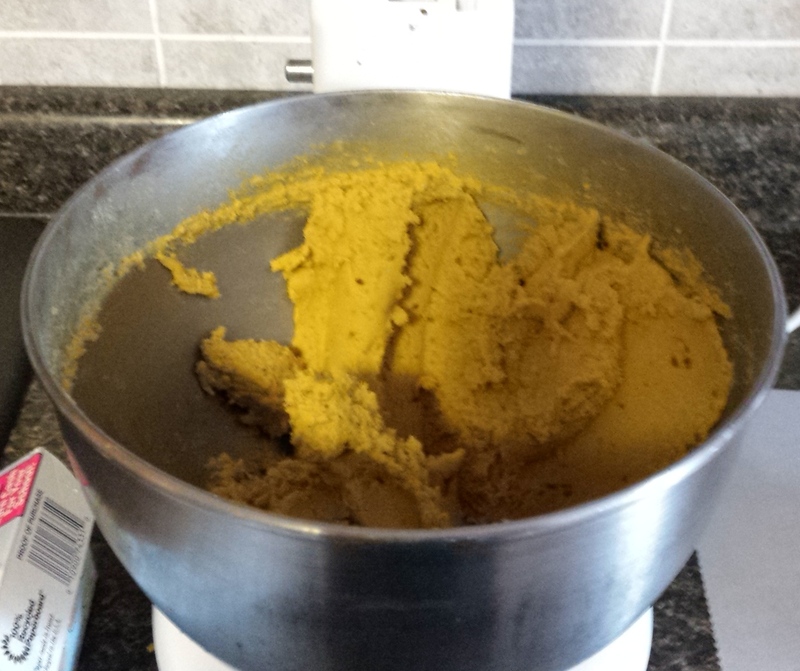 Add an additional 1/4 cup flour at a time just until the dough is no longer sticky. 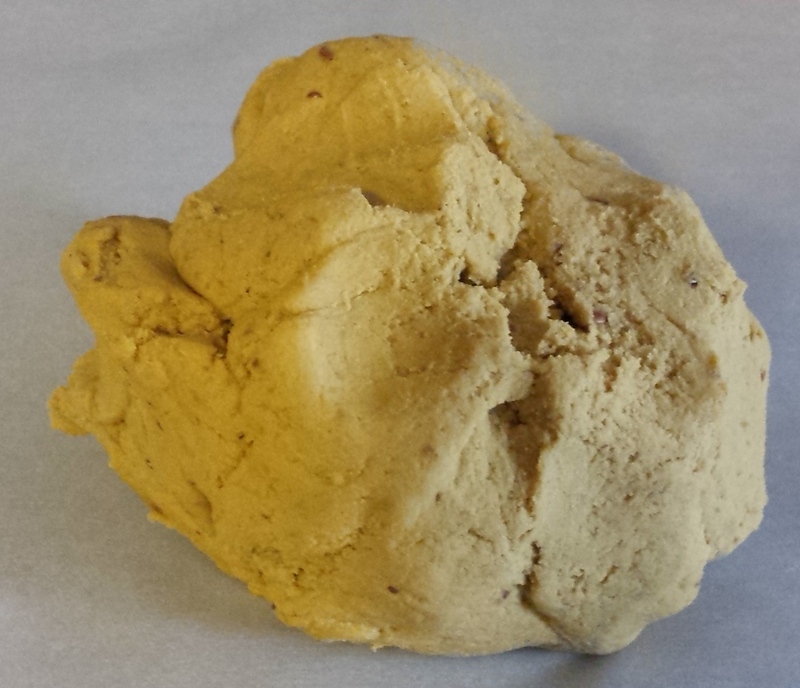 Divide the dough into 3 equal pieces and work on 1/3 at a time. Using a rolling pin, (I use a layer of parchment paper between rolling pin & dough too) roll the dough to 1/4-inch thickness. Place a sheet of parchment paper on counter top or flour area with a gluten free flour, knead the dough 3-4 times until it comes together. Use your favorite cutters for fun shapes! My Doggie, Copper is waiting not-so-patiently for some of these! Place in oven and bake until the edges are golden brown, about 25-30 minutes. * Check every 5 minutes after 20. NOTES *Baking time will vary depending on the size and thickness of the treats. Serving size will also vary depending on the desired shapes and cookie cutters used. 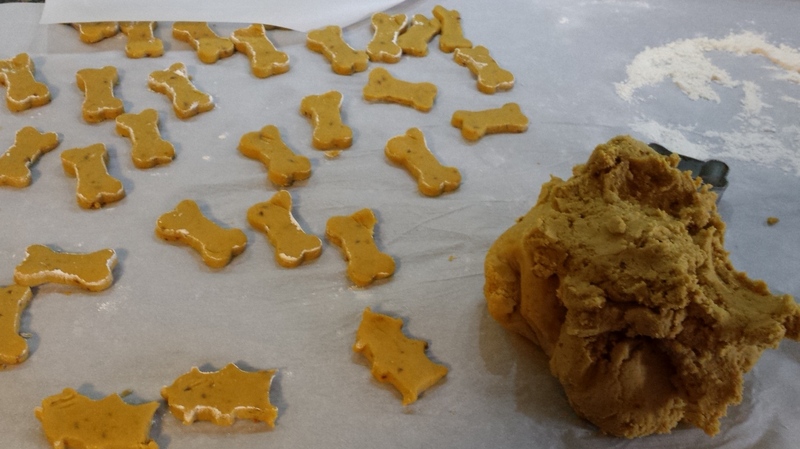 Using my small dog bone cutter, this recipe made about 9 dozen (1 inch) cookies.